so, you all may have the cute clothes you need to get started on your resolutions.....but now you actually need to workout. as a busy mommy, i know how hard it is to find time for yourself outside of the home. here are some amazing dvds that you will love for your in-home workouts. let us know if we missed any of your personal favorites. if you have ever wanted the body of a ballerina, this is your chance. 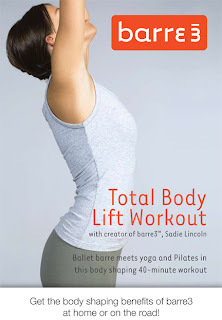 this 40 minute workout dvd comes with a core ball (needed for exercises) and before you know if you will have beautiful, long and lean muscles. i can personally say that i am a devout believer and have never seen a more dramatic change in my body than with barre3. if you happen to be lucky enough to live where they have studios, do yourself and your body a favor and go take a class. you won't regret it. (you can thank me later). 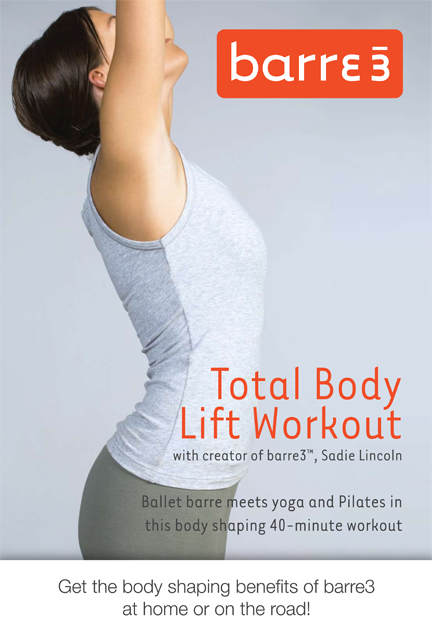 this dvd contains three complete 25 minute workouts at three different levels. it mixes cardio, strength training, and an intense focus on the abs to create a system that they say can result in extreme weight loss as impressive as 20 lbs. in 30 days. that sounds pretty great to me---although, i think half the battle will be simply getting through a whole 25 minutes with jillian and her yelling. the program boasts that it will help you change your body in 90 days. i don't doubt it---all i have heard is praise from people that have tried it. my own sister says that she has never seen such a change in her body in such a short time. i think these dvds are next on my wish list. make fun all you like, but that girl can dance! i promise you that it will be the most fun you may have ever had working out. if you love to dance and like miss paula abdul, this one is for you. if you have ever wanted those elusive washboard abs this dvd is for you. wowzers! jackie thinks that traditional crunches are a waste of time and she just might be right....i have never felt my abs burn quite the way they have after only two short 15 minute workouts. With core workout, women are in a position to goal the different problem areas they might have and gain strength as well. To scale back fats and improve power, core exercises for girls are undoubtedly one thing to consider.